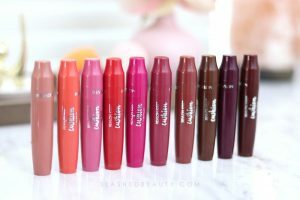 Since I try to keep things here on the blog budget-beauty focused, sometimes some of my favorite mid-range to high end brands don’t get the love they deserve. One of those brands that I actually use regularly is It Cosmetics. I’ve been using makeup from It Cosmetics since I was only just a newbie in the beauty community. I’m not sure if it’s just me, but I feel like they haven’t had as much hype around their products in recent years. 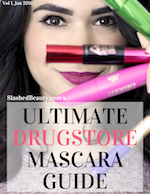 So I wanted to share my absolute favorites from the brand— the best makeup from It Cosmetics that are worth the splurge, even if you only try it once. It Cosmetics is having Summer Sale going on from 6/18 thru 6/27 where you can get up to 40% off select products and shades. No code required– only valid on the brand’s website. This is a holy grain concealer— something that I save for when I really need it. Though, a little goes a long way and with daily use, one tube could last you several months. The Bye Bye Undereye concealer is a thick and waterproof concealer that will conceal anything. When they say full coverage, they mean it. It does a great job at covering undereye bags or discoloration, but I’ve also used it to cover stubborn blemishes. It smooths and evens tone, just be sure to apply in very small amounts and set with powder to avoid settling. The CC+ cream is probably one of the brand’s most popular makeup items. This SPF50 anti-aging cream is full coverage and comfortable, with a hydrating serum formula that lets you skip the moisturizer. It seriously smooths skin texture and gives you a long-lasting natural skin finish. Since my skin has been drier in the past year after moving to the desert, this has been a staple when I feel too crusty for “normal” foundation. This is the newest addition to the brand’s makeup offerings. The Bye Bye Foundation is labeled as a “full coverage moisturizer,” and has very subtle differences from the CC+ Cream. 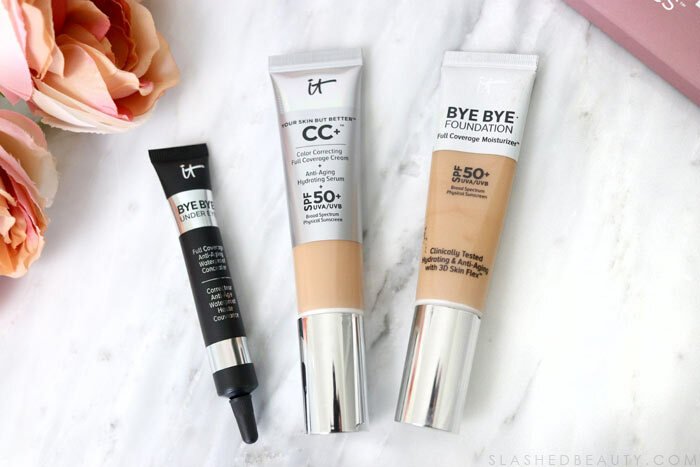 While they both have SPF 50 and anti-aging properties, the Bye Bye Foundation formula is a bit thinner and has more of a skin care feel, while the CC+ cream feels thicker. I’ve also found the Bye Bye Foundation to give me just the slightest bit less coverage and wear time. I’d classify it as a heavily tinted moisturizer. However, it does have a larger shade selection than the CC+ Cream and is a bit easier to blend. It definitely has a place in my collection for fresh-faced makeup days, but I need to pair this with concealer and powder if I want all day wear. 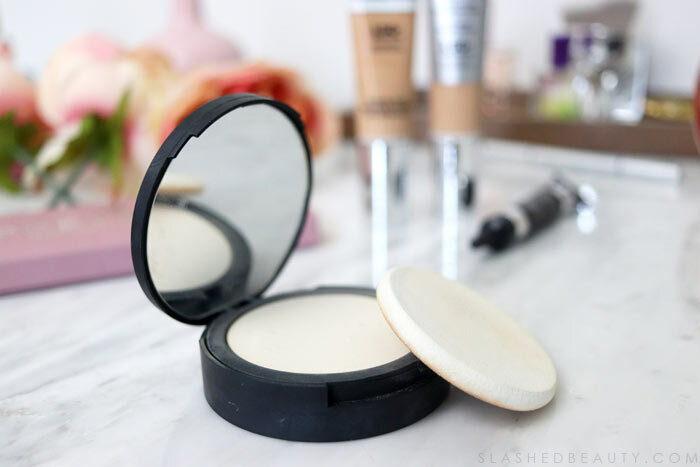 I keep talking about setting makeup with powder, and this is definitely one of my favorites across budgets. It seriously smooths fine lines and helps pores disappear for an airbrushed look. This powder is pressed pretty firmly, and so in lieu of a brush I usually use the included puff to dab the product onto my face. 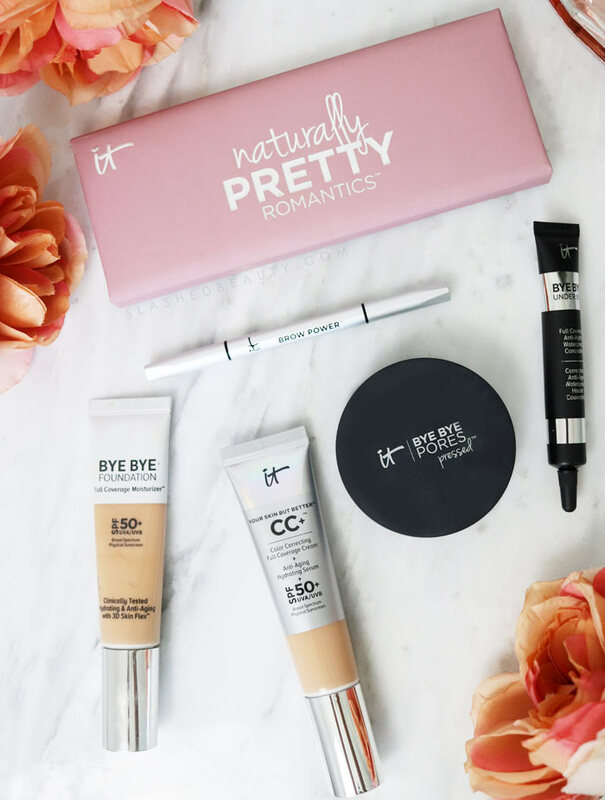 When I use Bye Bye Pores, my makeup becomes slightly mattified and gets a little boost of lasting power. Ya’ll know I’m all about bold brows, and I’m pretty picky when it comes to brow products. 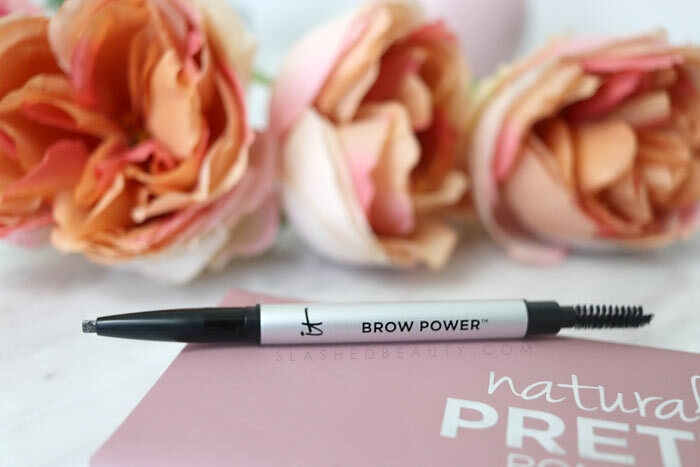 The Brow Power Universal Eyebrow Pencil is so easy to use with it small twist-up crayon tip and built-in spoolie. It comes in one option called Universal Taupe which is a neutral shade that adjusts to match your brow color. It looks very natural when used to fill in and define. While I might not consider it sweat-proof, this can definitely withstand some moderate perspiration after spending a summer day outdoors. The brand also sells a travel size of this pencil for only $12 if you want to test it on a budget. So I had some mixed feelings on this palette when I was doing my latest makeup declutter a few weeks ago. But, after a few of you encouraged me to play around with it more, I’ve decided that it’s for sure a palette that I want to hold on to and use more. 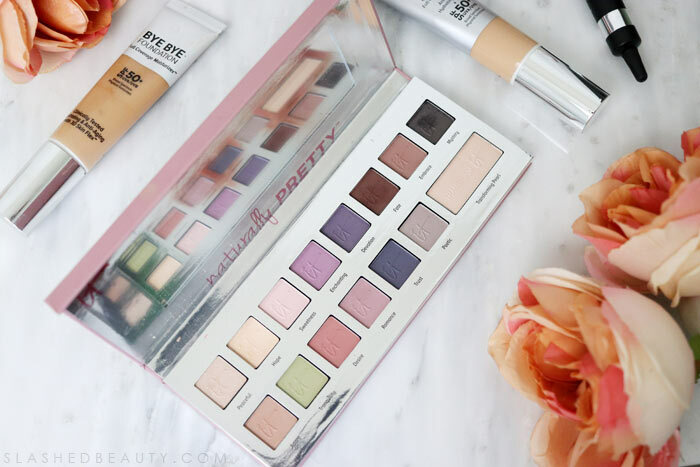 I’d say it’s perfect for spring/summer, with the pops of pastels and soft blues, but has enough neutral shades so you can also “play it safe.” It’s challenging me to add more color into everyday looks, and gives me the perfect amount of pigmentation for that. It’s not a bold palette by any means, but moreso for wearable pops of color. It Cosmetics also has an extensive skin care collection and makeup brush range that I encourage you to check out! What do you think are the best makeup from It Cosmetics? Share your favorites below! The eyeshadow palette doesn’t jump out to me, but they seem to have really nailed the complexion items!